 The largest selection of key blanks and locksmith services in Midland, Michigan is located downtown at Ace Hardware & Sports. We offer more than 3000 key blanks in our store and ready for our locksmith to cut. Even the most obscure keys and locks are not a problem for our highly skilled staff. Whether you need a replacement key or a key duplicated, we can help. We even cut automotive keys including many with security chips. House calls and in store locksmith services. Replacement keys for auto, home, or business. Bryan’s Bicycles also served as a locksmith in Midland until Ace Hardware & Sports bought the locksmith portion of the business in 2005. Since then we have been working to be the absolute best provider of locksmith services in the area. Contact us for professional & courteous service in the greater Midland area. We are a full service locksmith shop. We work with major brands of locks include Schlage, Kwikset, Yale, Westlock, Weiser, Dexter, Arrow, Master Lock & many, many more. Recently bought a home or business? Don’t change all the locks if you don’t have to. Ace Hardware & Sports provides cost saving rekeying services for businesses or residences of all sizes. Whether it’s a small business, a large corporate entity or an entire apartment complex, Ace Hardware & Sports re-keying services should be at the top of your list. Our re-keying service can also come in handy if you have a cluttered key chain. If you’d prefer fewer keys for all of your locks, then our re-keying service is right for you. We can adjust your locks so that they function on a master key system, having some keys for certain locks and one master key to operate all of the locks in your home or business. Why choose Ace for locksmith services? Over 25 years of locksmithing experience. Widest selection of key blanks in Midland, Michigan. We work hard to offer the very best service. Whether you need one copy of a key or your whole building rekeyed, you can rely on our team for any size job.